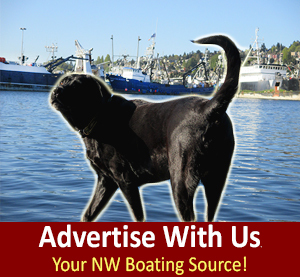 Fishermen’s Terminal in Seattle WA Ship Canal has begun the redevelopment construction project. By Fall we can already see the improvements done around the 26 acre property at Fishermen’s Terminal, home of the Pacific Northwest fishing fleets, a majority of which fish in Alaska waters. 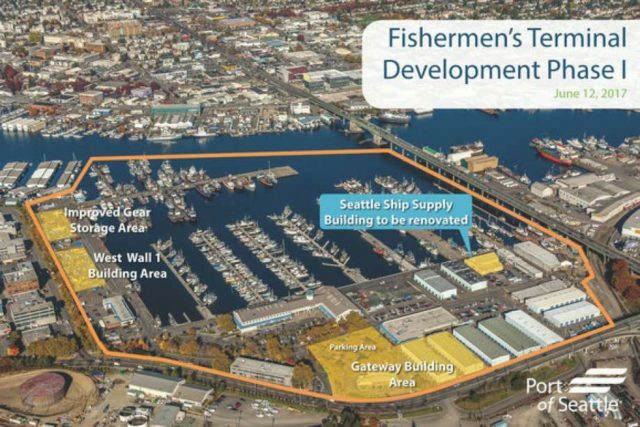 Fishermen’s Terminal in the WA ship Canal just west of the Ballard Bridge has design work on the project that has already begun, goals for construction on new buildings started back in early 2018. Fishermen’s Terminal announced this construction project back in April 2016 after two detailed years of planning. 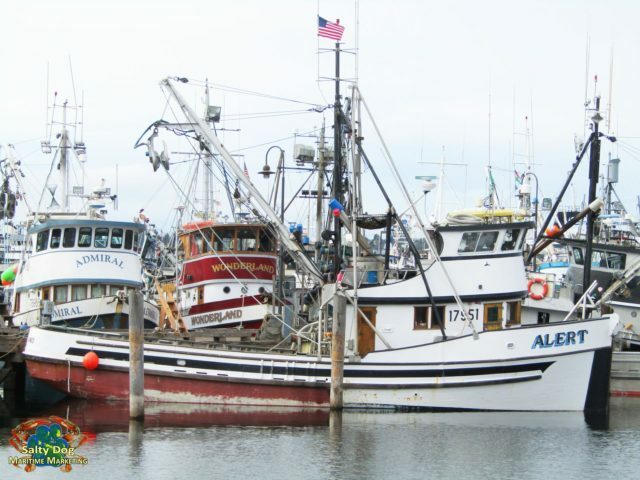 The construction plans are aggressive and plan to double the size of a fishing operation that generates $450 million in revenue and $40 million plus…. in state and local taxes annual each year. 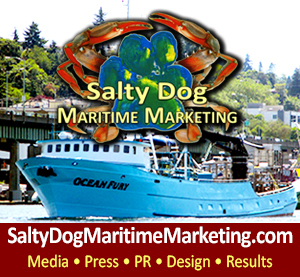 Commercial Fishing Photography By: Salty Dog Boating News, Salty Dog Maritime Marketing, www.saltydogmaritimemarketing.com – Salty Sea Gal, PNW to AK Marine Traffic Underway Source, The Ship Canal Fishing Vessel Pulse – Inquire to: boating@saltydogfishingnews.com – Organic Local Photography – fresh water to salty sea! 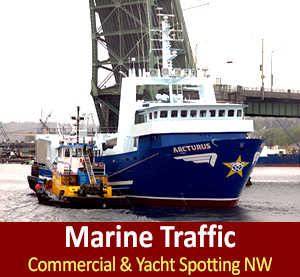 This aggressive and well constructed terminal plan comes after $30 million worth of improvements to the port’s moorage over the last decade. Fishermen’s Terminal has always had the motto of putting the fishermen’s and PNW fisheries first, it’s well noted and appreciated throughout the Pacific Northwest commercial fishing industry that is extremely active and forever changing seasonal, per mother nature is in charge! 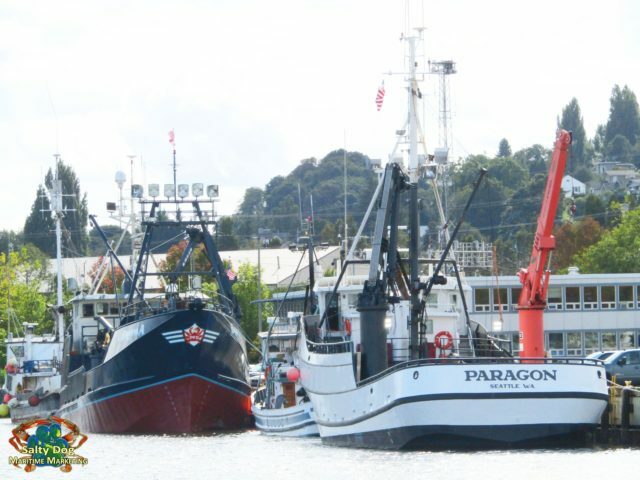 The new development plan is for Fishermen’s Terminal to modernize the home port of the Northwest Pacific fishing fleets while taking advantage of the 26-acre property – valuable real estate, which currently has restaurants such as Highliner, Bay Cafe and Chinooks and business office space in addition to the fishing operations, related businesses and business’ related the Pacific Northwest maritime industry. Fishermen’s Terminal, Redevelopment Plan, Construction in WA Ship Canal, Set to Double Commercial Fishing Fleet, PNW: Plans for the terminal are encouraging to the local fishing fleets. 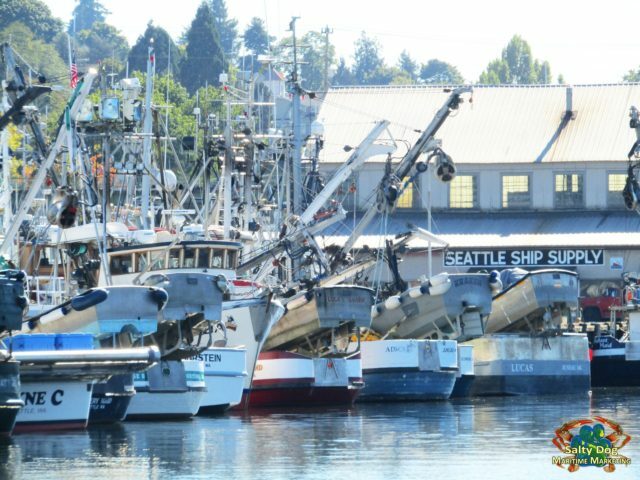 Fishermen’s Terminal has been the home of Seattle’s commercial fishing fleets since 1914, making is over 100 years old, it’s a Pacific Northwest staple. 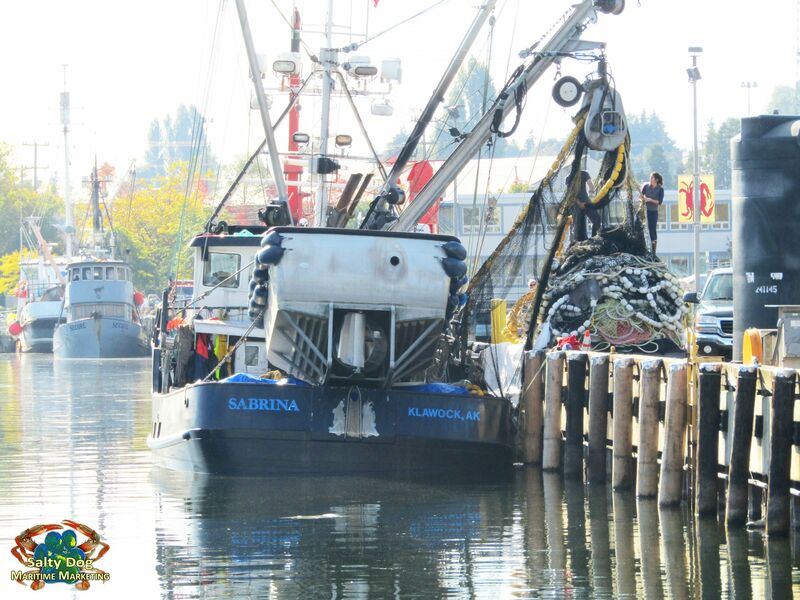 Fishermen’s Terminal, F/V Albert, F/V Admiral, F/V Wonderland, Fishermen’s Terminal, WA Ship Canal Fall Fishing Underway, Commercial Fishing Photography By: Salty Dog Boating News, Salty Dog Maritime Marketing, Salty Sea Gal, PNW to AK Marine Traffic Underway Source, The Ship Canal Fishing Vessel Pulse, Happy Fall! It’s also home of the PNW Fishermen’s Memorial, with its sculpture paying tribute to local fishermen and women who have been lost at sea this most recent year in 2017 we lost F/V Destination, AK Bering Sea Crabber; it’s also hosts the Fishermen’s Fall Festival annual event each year. 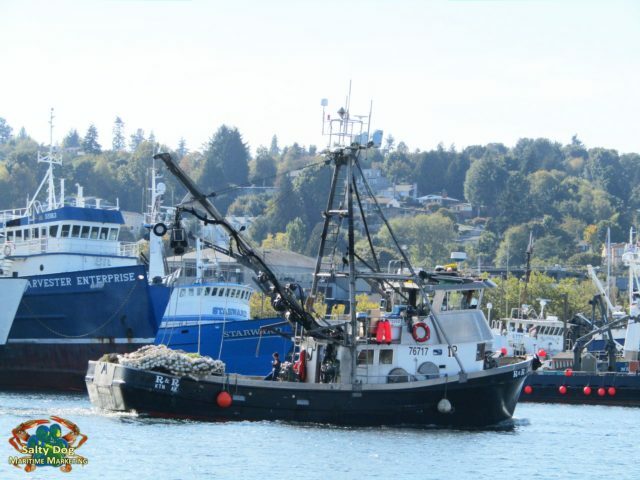 Fishermen’s Terminal, Just Departed, F/V R&R, Seiner, heading to Ballard Locks for a drop, Fall Fishing PNW, Commercial Fishing Photography By: Salty Dog Boating News, Salty Dog Maritime Marketing, Salty Sea Gal, PNW to AK Marine Traffic Underway Source, The Ship Canal Fishing Vessel Pulse, Go Fishing! Fishermen’s Net Sheds 3, 4, 5 & 6 Roof Replacement Project – including the solar demonstration on Net Shed #5 – these have construction activities underway. Fishermen’s Terminal: Demolition of all four Net Shed roofs are complete with the new roofing being installed on each. Solar panel structures are also being installed on Net Shed 5. The final roofing layer and the electrical work will take place shortly to allow these net sheds to be complete by late fall of 2017. Fishermen’s Terminal, development is comprised of two new buildings and one building renovation. The Gateway Building is intended to house a key maritime supply business, their is buzz about Fisheries Supply coming over to the Terminal. It will take the place of the former bank building that has sent empty for years; as well as Net Shed 7 and Net Shed 8. Port staff are working to reassign net lockers. All fishers with storage in these buildings are guaranteed a new storage unit. 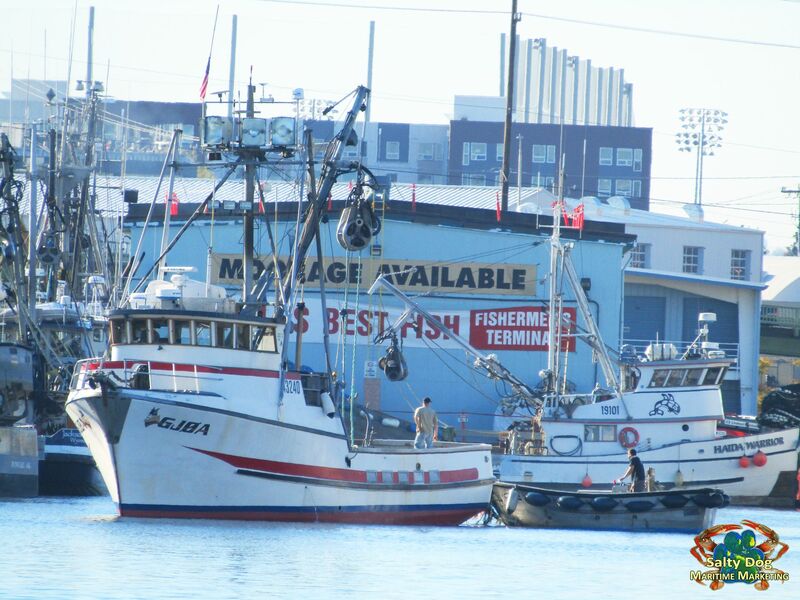 Salty Dog Boating News, Salty Dog Lab Lookout, Fishermen’s Terminal, Fall Fishing Underway in the Pacific Northwest, Commercial Fishing Photography By: Salty Dog Boating News, Salty Dog Maritime Marketing, Salty Sea Gal, PNW to AK Marine Traffic Underway Source, The Ship Canal Fishing Vessel Pulse, Go Fishing, Eat Fresh! Fishermen’s Terminal chatter on the docks is also about the other new building, a light industrial building to be constructed along the west property line. 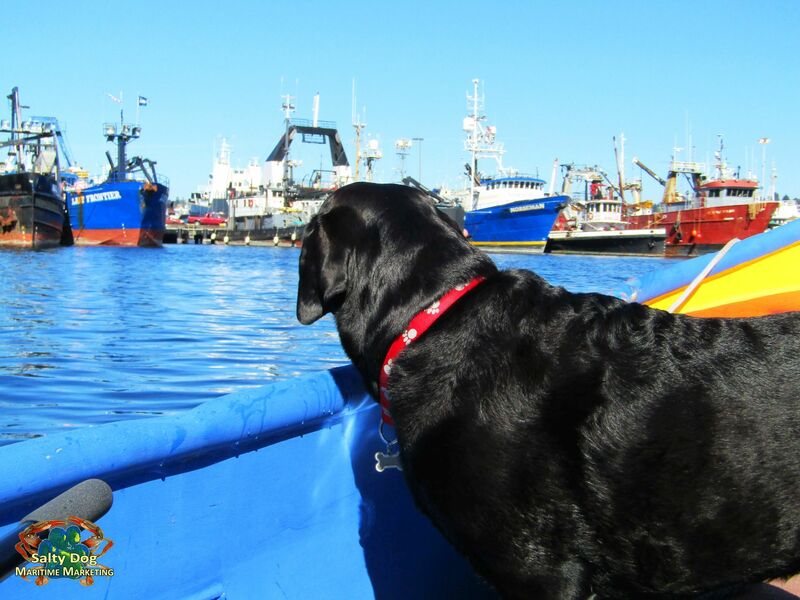 It is intended for businesses that function as suppliers and vendors to the fishing fleets. 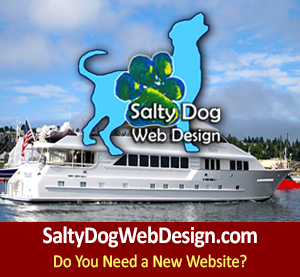 The developments also include major renovation of the former Seattle Ship Supply building. The new and already very local occupants plan to serve the fleets and possibly have a more public orientation such as workforce development or a maritime business incubator. This will be big changes on the local waterfront, making up much different ship canal action. 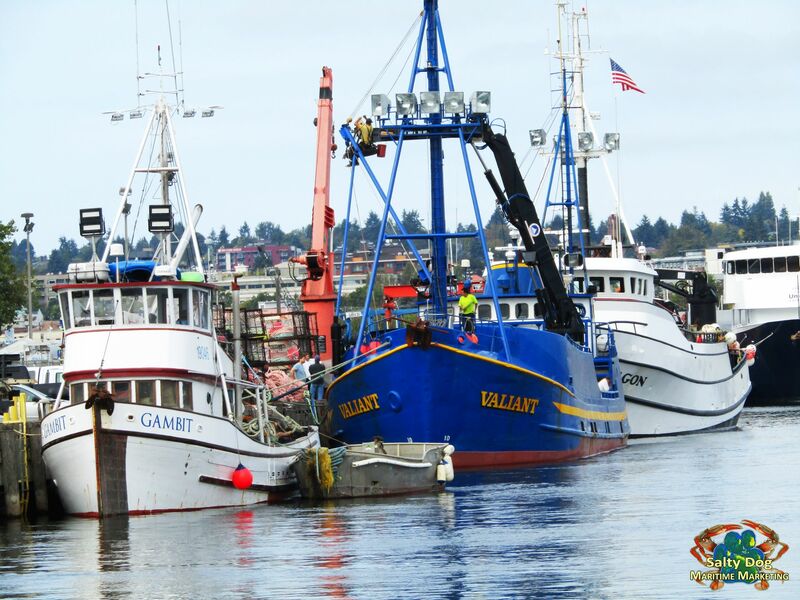 Fishermen’s Terminal, F/V Gambit, Seiner, F/V Valiant, Trident Seafoods, Tender and AK Crabber, F/V Paragon, AK Bering Sea Crabber, West Wall Loading Crab Pots, Fall Fishing, Commercial Fishing Photography By: Salty Dog Boating News, Salty Dog Maritime Marketing, Salty Sea Gal, PNW to AK Marine Traffic Underway Source, The Ship Canal Fishing Vessel Pulse NW _ Go AK Bering Sea Crabbers, God Bless our Fishermen! 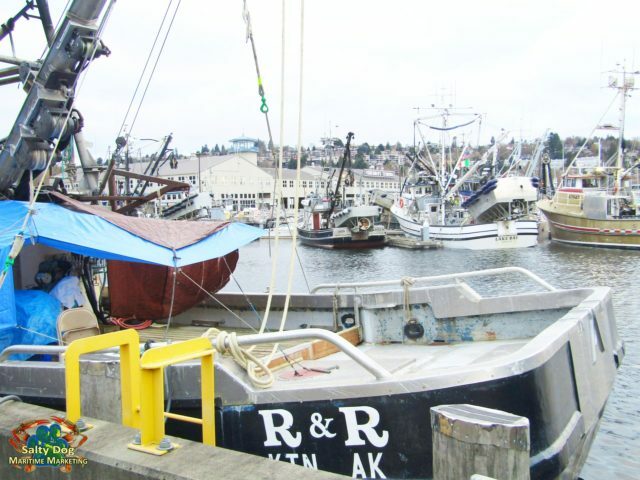 Stay tuned for more Fishermen’s Terminal updates and progress underway developments in the WA Ship Canal, God Bless our Fisheries and Commercial Fishing Fleets, Pacific Northwest to Alaska! Fishermen’s Terminal, Workboats & Commercial Fishing Fleet, AK to PNW Fishermen, Commercial Fishing Photography By: Salty Dog Boating News, Salty Dog Maritime Marketing, Salty Sea Gal, PNW to AK Marine Traffic Underway Source, The Ship Canal Fishing Vessel Pulse – Go Fishing!